Beck Technology Lands 4th Place in Dallas’ Best Places to Work! For the past sixteen years, the Dallas Business Journal has held a “Best Places to Work” competition, in which companies across the metroplex are evaluated and ranked according to metrics like employee satisfaction and overall company health. This year, Beck Technology ranked 4th place in the Micro Business category! Based on employee feedback in the Best Places to Work questionnaire, Beck Technology employees used “caring” to describe their work environment, senior leaders of the company valued people as the most important resource, and believed Beck Technology will be highly successful in the future. Winning the 2017 Tech Titans Corporate CTO Award is a great honor and our Chief Technology Officer Michael Boren received this accolade in August. We recently sat down with Michael to talk about winning the award. What does winning the Tech Titans Corporate CTO Award mean? Validation of our team’s efforts and work. It is a nice recognition that what we have worked on as a team is innovative and that our work is not typical and something that others look to. Internally, it is a good nod to the team. Keep doing what we are doing. Beck Technology is on the right track. Externally, the award validates the company more. Especially for what I was nominated for: Industry Advisory Board, leadership, teams. If I’m on the outside looking in this seems like the type of company I want to do business with because they’ve got a good team, they are listening to their clients, and their processes are being reviewed by a team of peers (other tech companies). For our clients, it means they made the right choice. One of the reasons Beck Technology won the award was because of our efforts in crowd-sourcing good ideas. The Industry Advisory Board helps us solve problems and make a difference in the construction industry. We didn’t just win it internally but our clients won this award, too. Holly Hunt, relationship coordination manager for Beck Technology, helps account executives find general contractors that are a good fit and serves as the first point of contact for companies exploring the DESTINI suite products. Before work every day, I have my quiet time and make sure I have some coffee and breakfast. No running or podcasts for me in the morning; coffee and some time with Jesus is all I need. Mondays tend to go quickly around here. This Monday was probably one of the busiest to date, as we are in the middle of implementing three new technologies to our sales stack. I just wrapped up one of those today. The Beck Technology team, as well as our clients, launched into 2017 with so much vigor and drive that the first quarter flew by at what felt like a record pace. Please find below our quick quarterly update with relevant news on the preconstruction technology front. Registration is open for the Advancing Building Estimation 2017 conference (formerly Estimation Technology for Construction) scheduled for May 22-24 in Houston at the Westin Houston, Memorial City. Beck Technology is hosting a half-day pre-conference workshop “Why Do We Need Change?” that will explore the factors driving changes in the A/E/C industry. Our team and client speakers will discuss topics from mitigating risks to the expectation of accurate real-time data in a dialogue focused on why we need to change, what it looks like, and who is spearheading the effort. The workshop will run from 9:00 a.m. to noon on Monday, May 22. Information on the workshop and full conference may be found on the conference website. Early bird registration ends Friday, April 21. As a reminder, this workshop format replaces our Beck Technology Roundtable this year to enable clients to bundle greater learning and networking as part of a larger conference. Welcome to a new year full of possibility. It’s hard to believe that we’re already marking the beginning of 2017, as 2016 seemed to fly by at lightning speed. For this roundup, we have included a few “coming soon” features of note to mark on your calendars. Please plan to join us at the Advancing Building Estimation 2017 conference (formerly known as Estimation Technology for Construction conference), scheduled for May 24-25 in Houston, Texas, at the Westin Houston, Memorial City. Beck Technology will host a complimentary, half-day preconference workshop for conference attendees and invitees, in conjunction with the conference. Filled with client speakers, technology insights, and panel discussions, this event will walk through ways to enhance your estimation process with technology. Look for a focus on the need for industry change, as well as a keynote speaker and a panel of owners sharing their ideas of what ideal estimates would look like. This workshop format will replace our typical spring Beck Technology Roundtable program, allowing attendees to learn from and network with more peers, as well as streamline their travel budgets. Welcome to Fall 2016 and the push toward year-end! Here’s a quick update on efforts to support your estimating collaboration, speed, and accuracy. One special update for those of you in the midst of budget planning for 2017: We’re debuting a robust workshop in conjunction with the Estimation Technology for Construction Conference, set for May 2017 in Washington, DC. Filled with client speakers, technology insights, and panel discussions, we’ll walk through ways to enhance your estimation process with technology. This workshop format will replace our typical spring Beck Technology Roundtable program, allowing you to learn from and network with more peers as well as streamline your schedule. More details to come as dates and venues are locked down. from November 15-17 in Las Vegas? If so, it would be great to visit face-to-face and discuss your preconstruction challenges. To schedule an in-person or virtual meeting please click the button below. 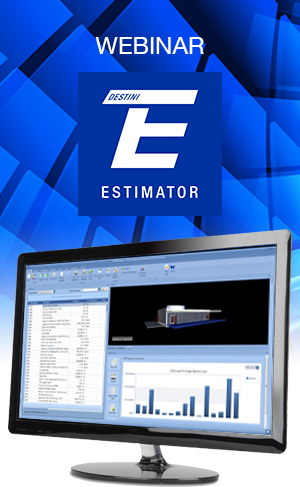 DESTINI Estimator 2016 2.0, which served as the industry’s first, fully-integrated preconstruction solution. Through our partnership with Autodesk, the release featured 2D and 3D takeoff tools utilizing Navisworks®. Over the past six months we have entered into formal explorations with more than 20 of the largest construction firms in the country. From these engagements, we’ve captured various enhancement requests directly from industry feedback and some will be added to the product this fall when we release DESTINI Estimator 2017 1.0.
contact us to schedule a demo or register for our debut webinar on Wednesday, October 26th. You may have noticed several new client announcements of late. The Howard Hughes Corporation, a DESTINI Profiler client, signed a five-year enterprise licensing agreement for DESTINI Estimator as well as custom consulting. just signed a three-year enterprise licensing agreement for DESTINI Estimator & Profiler. Most recently, Snyder Langston executed a three-year enterprise licensing agreement for DESTINI Estimator & Profiler. Looking ahead, we’re set to welcome several more notable firms this fall. Innovative construction companies are flipping the traditional design process upside down, reducing the need for “value engineering” later in the process by using target value design to make informed choices early in the concept development phase. Estimator Stanley Wielgosz and The Beck Group’s Director of Preconstruction Jeff Ratcliff to share how their teams win clients over by using DESTINI Profiler as part of a target value design approach. In a $1.5 billion, nationwide construction company, change doesn’t happen overnight. 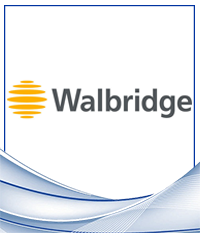 Before standardizing its 60 estimators to a single software platform, Walbridge wants to be sure it selects the most user-friendly, powerful product available. Test-driving our estimating software became Senior Estimator Taimoor Khan’s job. to find out why DESTINI Estimator is his preferred choice. 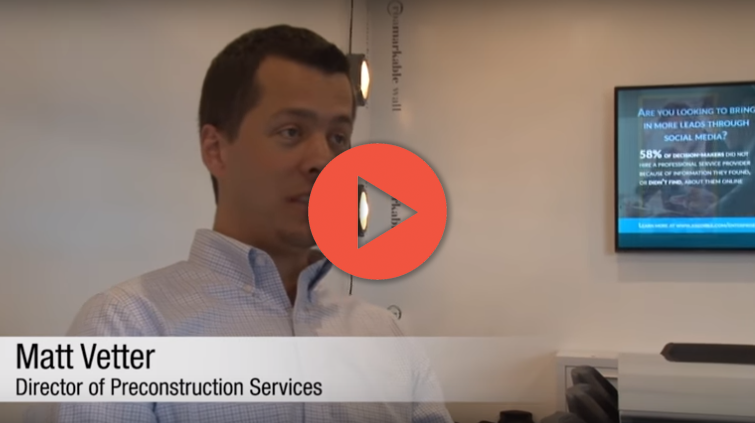 Matt Vetter, Director of Preconstruction Services with Cunningham-Limp joined us for a quick video Q&A about DESTINI Profiler and Beck Technology. The firm uses DESTINI software to help quickly conceptualize, collaborate, and bid for contracts. This recently published an article goes into depth about picking the best technology for your company by focusing on four main steps. Stewart eases the overwhelming process by encouraging firms to determine the questions and goals to consider to make the most ideal and profitable investment for the future. The quick read includes 20+ questions to ask of yourself or the vendor you are evaluating. Did you know our CTO is a people person as well as a technology guru? Michael has taken to LinkedIn to share insights on motivation, happiness, collaboration, and the like. We invite you to read his periodic posts about his recent interactions and observations. It’s hard to believe that we’re two quarters down and two to go for 2016. Are your business goals on track thus far? At Beck Technology, we’ve had a busy second quarter with software releases for both our DESTINI Estimator & Profiler products as well as attendance and speaking at many industry events over the spring. 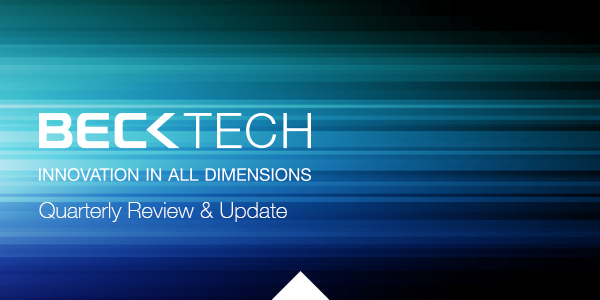 Please find below a quick recap and links to learn more—and to watch our client project videos from the Beck Technology Roundtable. Wishing you a great 4th of July holiday and a productive third quarter! Michael Boren, we’ve provided a link below. Michael showcases some of the most-requested new features, including Navisworks integration and the 2D and 3D takeoff views. 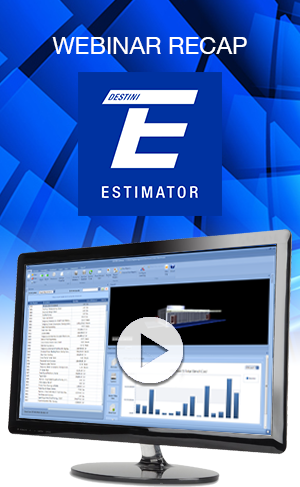 Webinar Recording: What’s New in DESTINI Estimator 2016 2.0? DESTINI Profiler 2017 1.0 was released. The update can handle extremely larger models as well as offers better support for Windows 10. When a 3D model is created, the software provides instant feedback on data such as cost, energy, lifecycle, and schedule. Bouma received a project call on a Friday afternoon and was able to turn around four building models (with different layouts and pricing) for a Monday afternoon design charrette with the client. Bouma turned around a parametric building cost model for a five-story building in one day. The early cost model came in within 3 percent of the final submitted proposal. 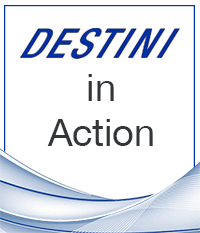 Read Bouma’s full DESTINI in Action profile here. 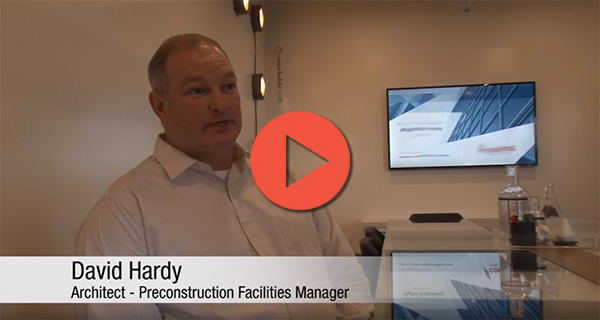 We recently sat down with David Hardy, Architect – Preconstruction Facilities Manager, with O’Neal, Inc. to discuss his views on DESTINI Profiler and Beck Technology. O’Neal uses Profiler to better communicate and engage with clients and to offer a way for client preferences to be implemented on the fly during meetings. The company uses the software for almost every project to help shape the direction in the early stages before entering the formal design phase. Watch the short video by clicking below. Our annual Beck Technology Roundtable was held in April and featured content-rich presentations by our clients. For those unable to travel and join us, we’ve uploaded the videos, complete with a split-screen view of the actual presentation slides, to our YouTube account. Our team regularly posts short blogs on their LinkedIn profiles. They discuss technology trends in some though the primary focus is broader topics such as culture, hiring, millennials, leadership. Plus, you’ll find each full of personal anecdotes, questions, and even some wit. Stewart has just launched a series on how employees impact company culture. His upcoming blogs feature some Beck Technology spotlights. 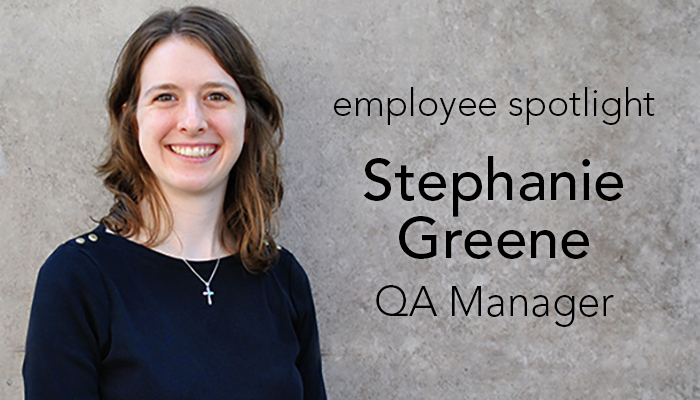 Read the first blog featuring our QA Manager Stephanie Greene. Please join us on Wednesday, July 27th at 10AM Central to hear from Nick Kurth of PCL. Nick will be sharing the evaluation process his company went through when selecting a 5D solution. If you’d like a firsthand view of the new features we’ve rolled out this quarter for DESTINI Estimator and Profiler, we’d love to you give you an online tour. Please contact us to request a personal demo.